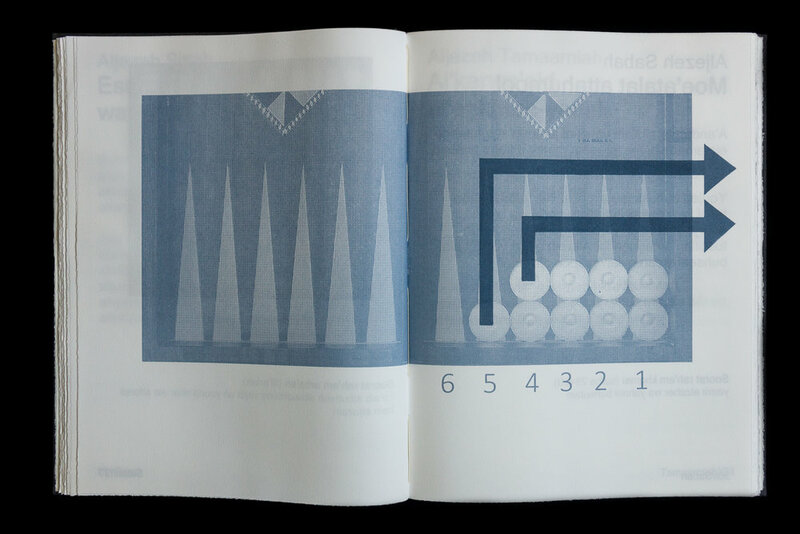 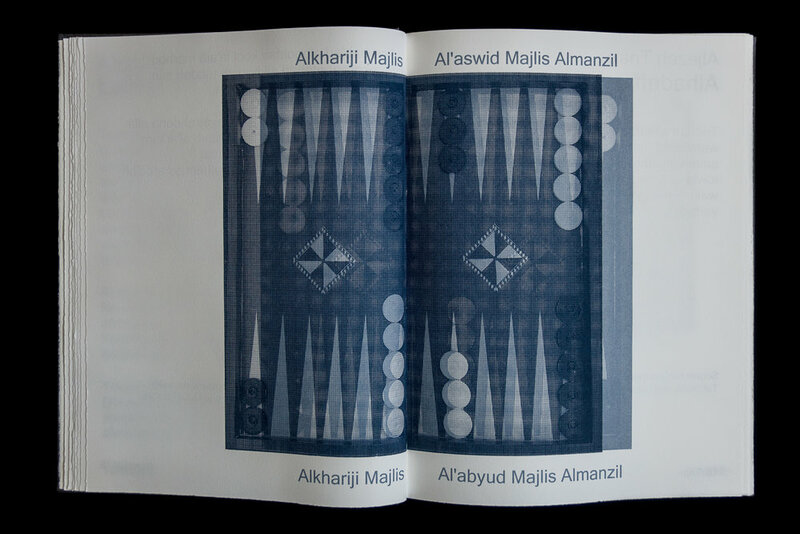 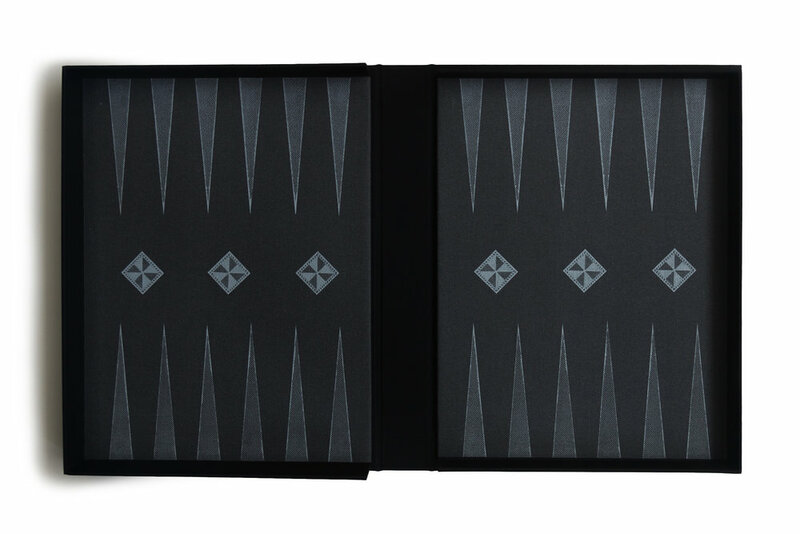 Towla contains instructions to backgammon that have been phonetically translated using the Arabic and Latin alphabet. 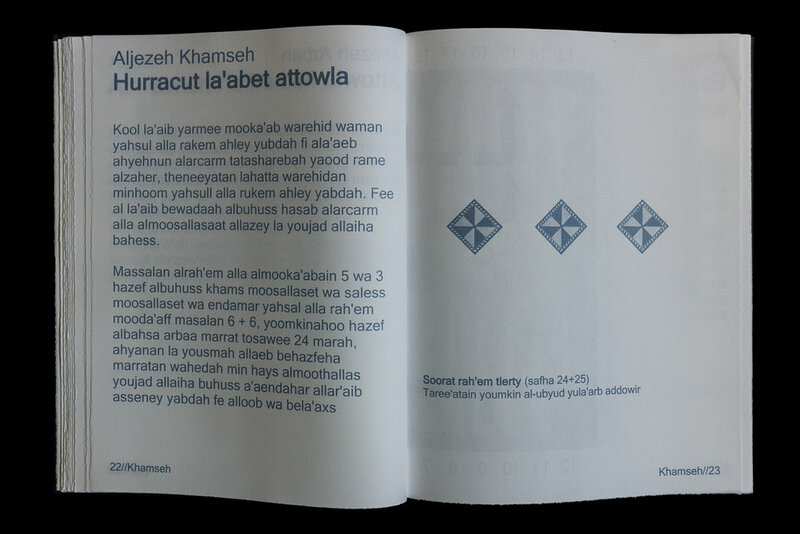 The Arabic letters spell the instructions in English and the Latin letters spell the instructions in Arabic. 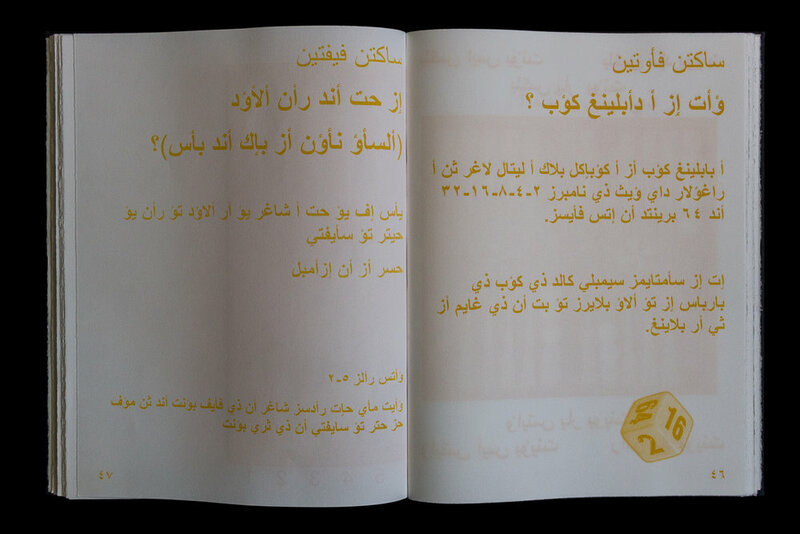 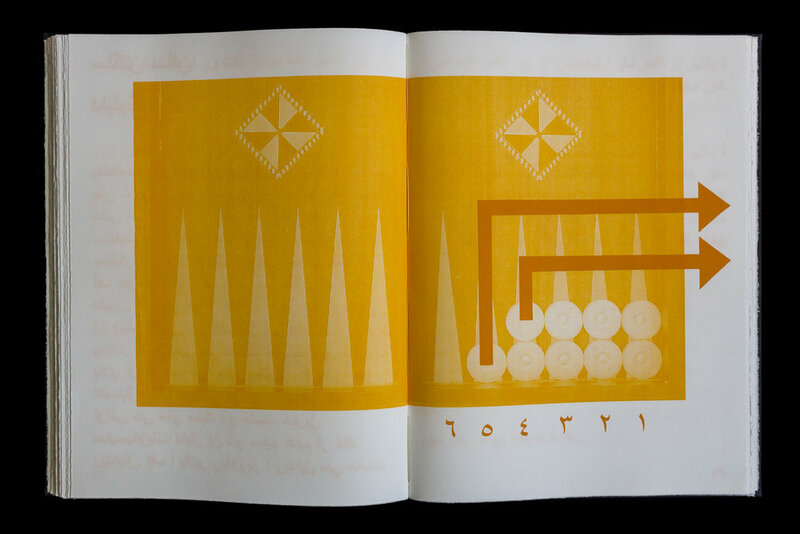 The artist co wrote the translations with her late father Antonios El Hitti and her close friend Katarina Achkar. 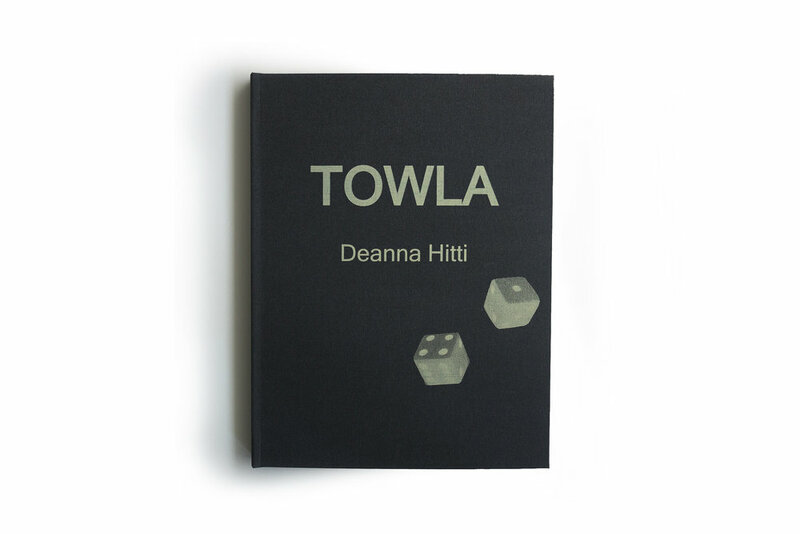 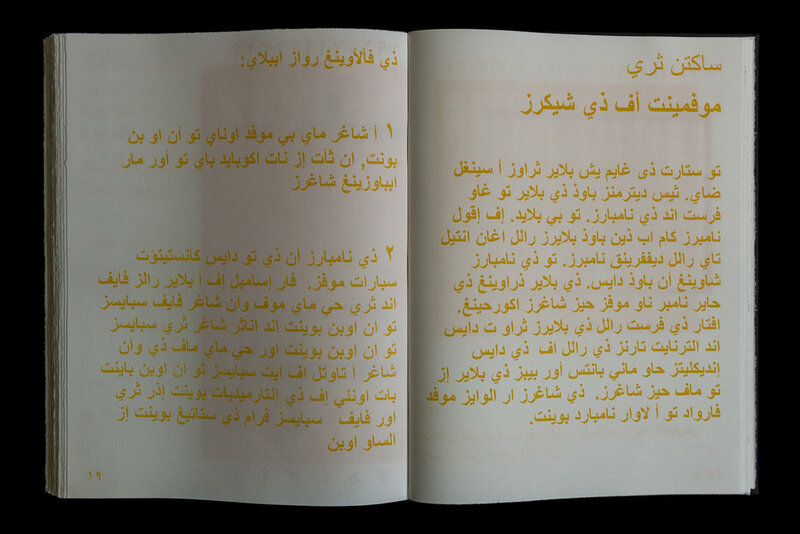 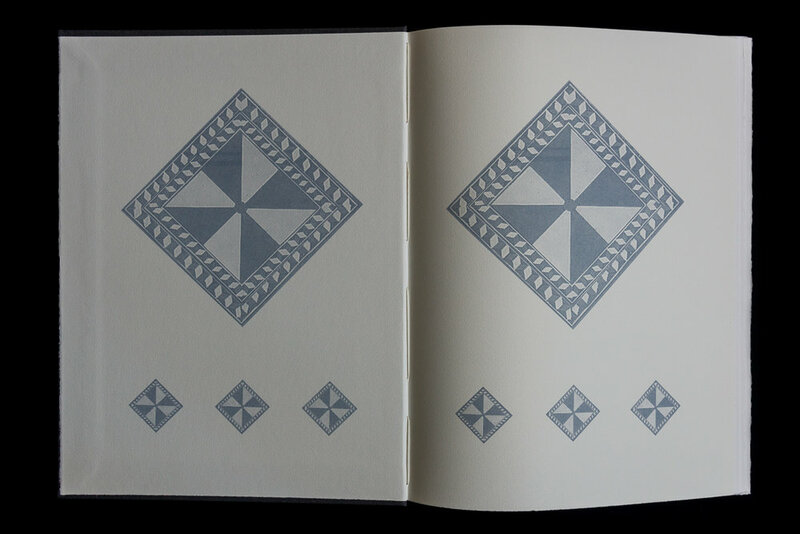 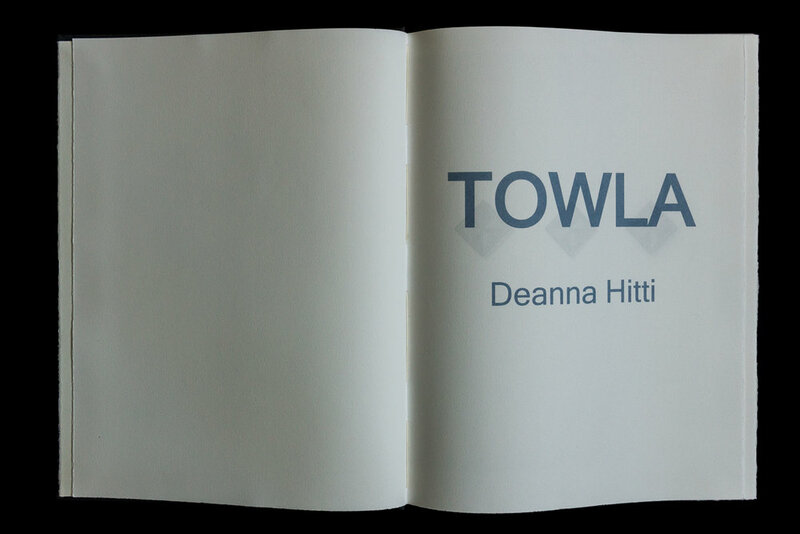 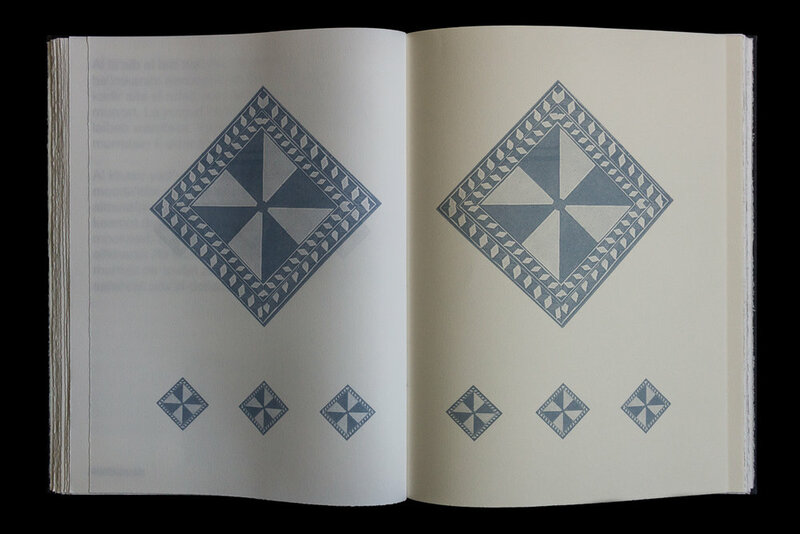 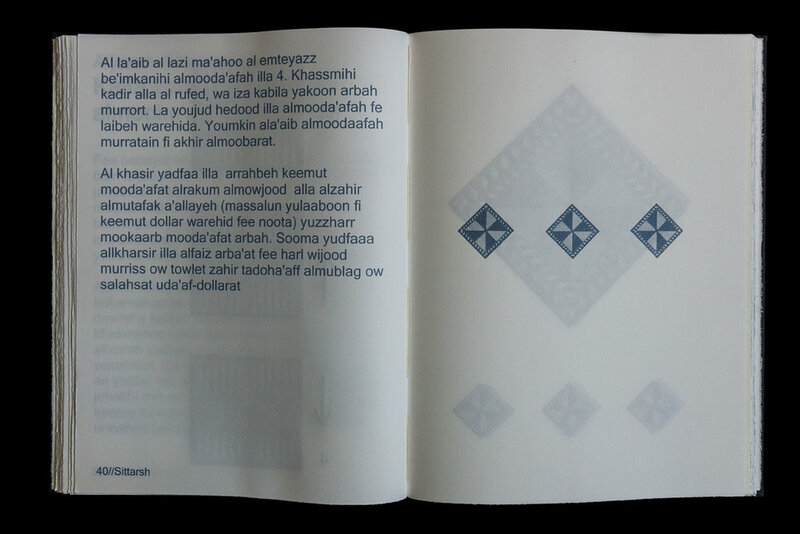 Towla is screen printed on Somerset 115gsm Bookwove paper and contains 100 pages. 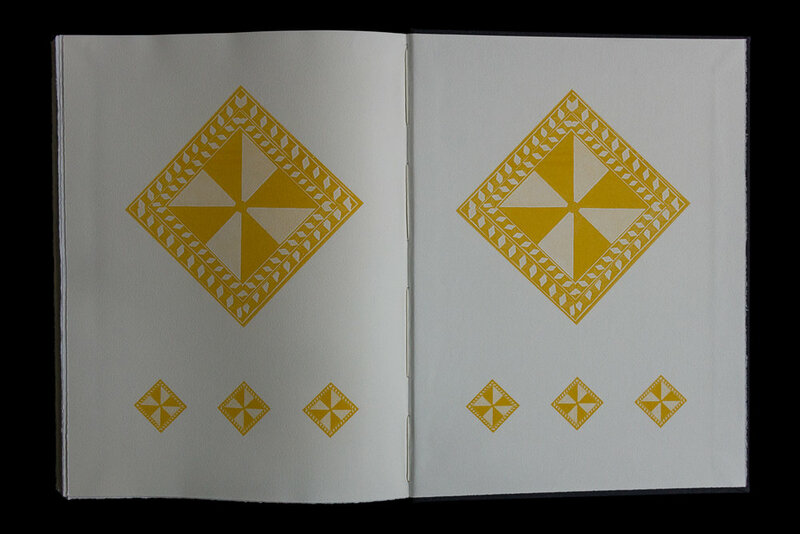 Released in an Edition of 10 with two Artist Proofs and a Presentation copy, June 2017.